Old and new, East and West, the twain will never meet. Watch the current drama with Cloud Computing: Cloud became Pure Cloud because the software and hardware vendors invented Private Cloud, then others jumped in and compromised that to death with Hybrid Cloud. Who’s wrong there? No one if you ask me. What’s in between? A huge gaping void – and that’s exactly why I chose the picture above. 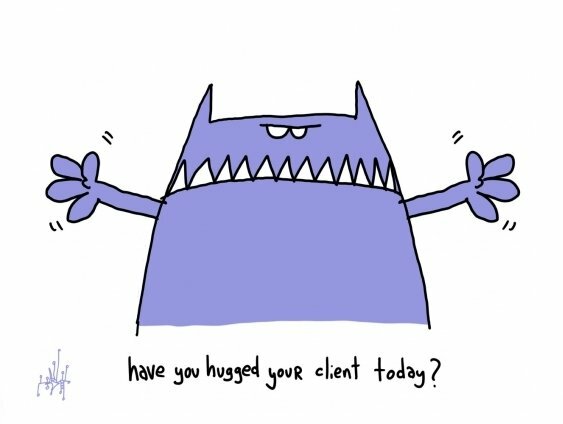 Enterprise or even company business is not about hugging your clients for free, it’s about delivering hard value for hard cash. Whatever revolution you claim to represent, someone must be buying it or willing to fund it. And unless you have hundreds of millions of users and / or a very smart marketing machine, guess what? So, if we want to move away from the old enterprise silos, yet want to avoid social silos, who’s going to do that? My age-old answer: accept the ever-changing diversity and just get your integration-act together; you shouldn’t have silos in the first place. The easy part of IT is the fact that all applications are there because they fulfill a functional business goal: their semantics do the job for us. Maybe not for 100% (anymore), but it’s close enough. The somewhat less easy part is to write down the structure of that: in IT we call that data model. How many minimum and maximum order lines per order, and items per lines? What is required for a delivery address, a work address, a home address?